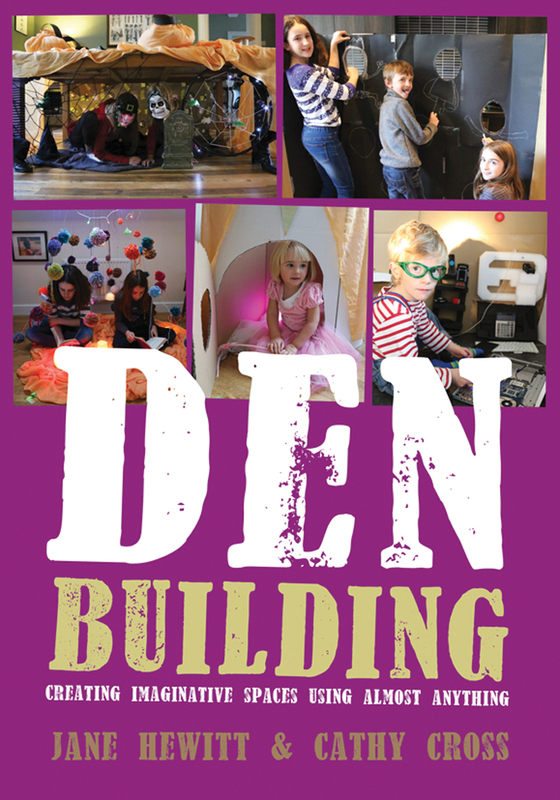 This is wonderful book all about den making that encourages children to play freely and realize their own ideas. The easy to get hold of materials invite imagination into the building of dens and also in the play that follows inside them. I love that every den is such a sensory journey; the textures; the lighting; the need to lie down or crawl into it. In an overly screen filled childhood there is such a need for these unstructured sensory experiences. I love the hugeness of some of the dens too. Kids love to create something that they can get inside of. This book opens up ways that every child can really have a hand in creating a space that fulfills their deepest and sometimes untouched needs. It lists simple ways to change the space around them on a scale not usually embarked upon. The ability to create or change things that are physically bigger than themselves seems to me an important thing to learn in childhood and take forward into adult life. My favourites are the nature dens. This type of engagement in nature that outdoor natural den making brings is to be celebrated. Strengthening a connection with the natural world, while developing hands on practical and rational skills, tying knots , weighting canopies, assessing the strength of a branch. These are important skills and require age appropriate risk taking that is needed for negotiating the world around us, this book encourages that rational thinking seamlessly through play. The esteem and confidence gained in having made these decisions without doubt will create a strengthened sense of self. A must for homes and classrooms and with an abundance of great photos, this book is easy to dip into and will always spark ideas. Let’s get den building!